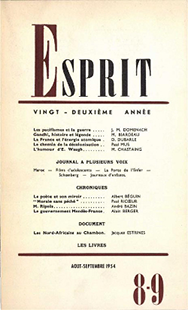 For those interested in Chris Marker’s postwar writings published in Esprit, it has up until recently been a tricky research endeavor. I remember scouring the archives held at Cornell University around 1990, pulling down dusty Esprit issues dating back to the Forties and searching for hints of Marker’s authorship, such as the initials C.M. appended to certain pièces d’ocassion, minutiae really but part of the story of Marker as an author, as an ‘homme-de-lettres’. He asked at one point to have these taken out of the bibliography I was building. My sense was that what was right in front of him, the current project, was of an importance that made searching for archival traces seem ludicrous. Even his early films he had little interest in talking about. I’m sure some others out there can relate. This focus allowed Marker to inhabit the present and, in a way that I think many have sensed, the future, in an intense manner that gives his work a unique energetic signature. Quand nous avons numérisé notre fonds, nous avons fait cette recherche sur les pseudonymes de Chris Marker et sur les initiales. Nous avons donc déjà fait ce repérage. Par exemple, si vous entrez “Marker” dans le champ “auteur” de notre page de recherche, vous obtenez bien dans la liste de réponses le tout premier article signé sous le pseudo Chris Mayor. In order to find the articles of Chris Marker in the review, you can use our search engine. When we digitized our archives, we conducted this research on the pseudonyms of Chris Marker, including the use of initials. We have therefore already made this restoration. For example, if you enter “Marker” in the “author” field of our search page, you receive in the results the very first article of all, signed under the pseudonym Chris Mayor. 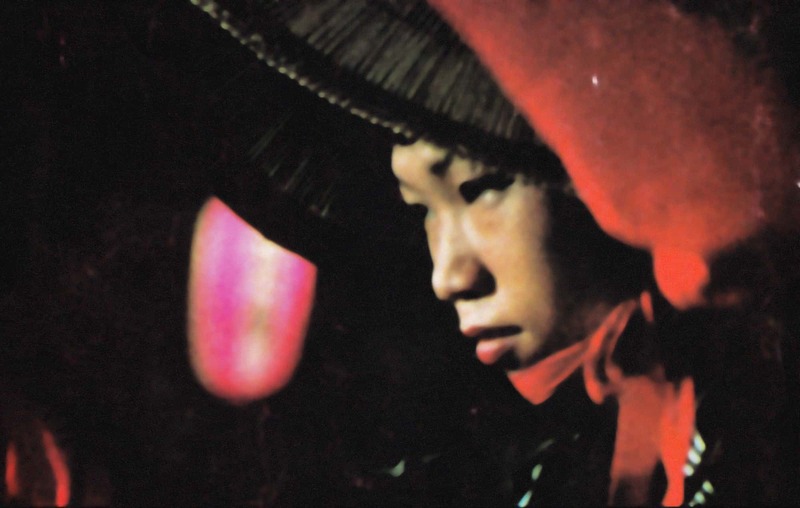 Catherine Lupton, Chris Marker: Memories of the Future, London (Reaktion Books, 2005), pp. 27-28, 238-240. …il ne faut pas oublier qu’il a fait du montage un art qu’il a appliqué à tous les domaines.